About Michael Roberts: Roberts is the founding executive director of the newly established Resnick Program for Food Law and Policy at the UCLA School of Law. His work covers a broad range of legal and policy issues, ranging from farm to fork in local, national and the global food system. A noted author, he has recently written the first major book on food law – "Food Law in the United States" – published by Cambridge University Press. Roberts' work is international in scope. He is a research fellow for Renmin University School of Law’s Center for Coordination and Innovation for Food Safety; he also serves as an adjunct professor of law for East China University of Science and Technology (Shanghai). He is an adjunct professor of law at Michigan State University, where he teaches a course on food law in China. He serves on the advisory board for the World Food Law Institute. He also was a visiting scholar and consultant to the United Nation’s Food and Agriculture Organization (FAO) in Rome. Roberts serves on the Los Angeles Food Policy Council’s Leadership Board and chairs the Los Angeles Garden School Foundation. He says his work is influenced by his personal background: he was raised in the food business, which included a small family farm, a produce brokerage company and other food entities. About UCLA’s Resnick Program for Food Law and Policy: Based at UCLA’s School of Law, the Resnick Program for Food Law and Policy “examines the ways in which the modern food system shapes consumers’ physical, economic, social and environmental health.” The Resnick program advances solutions for improving the modern food system. Its work focuses on issues ranging from farm to fork, nutrition, obesity, labeling, sustainability, urban agriculture, food safety, food litigation … and more. Q: You taught the first food law and policy course in the nation. What inspired you to do that? Roberts: Some 16 years ago, I had returned to my law firm in Salt Lake City, following working as in-house counsel for a company. I was bored with the practice and one day when I read an article in the Harvard Business Review on the future of food, I immediately knew what I wanted to do for the rest of my life. I was raised around food, working on a small family fruit and vegetable farm and with my dad in produce companies. Law school was an escape from the hard, mundane work that life represented, but as I aged, I found myself drawn back to the world of food. The article inspired a bold move: a move to Arkansas. I went to the University of Arkansas with my family to pursue an LL.M. in food law. That was the only food law program in the nation at that time. I got lots of push back from my law partners; they suggested I pursue an LL.M. in international law, a subject that had always captivated me, at a top tier law school. But I stuck with food. I took a year sabbatical and made the trek to Fayetteville. One class in the LL.M. program really caught my attention: “Food Policy,” taught by a highly respected authority in agricultural law, Neil Hamilton, who was visiting from Drake University Law School. At that point, I developed a singular focus on the possibilities of linking food and agricultural policy with law. Of course, law schools had long taught food and drug law, which mirrored the regulation of the Food and Drug Administration (FDA). These classes, however, did not always capture the emerging issues related to food policy, which sought to address policy and legal problems in the food supply chain in a holistic way, from the farm to the consumer. A trip to Paris where I attended the European Food Law Association conference helped cement the coupling of food law and policy. I met there an Italian scholar, professor Ferdinando Albisinni, who had migrated from agricultural law to food law in Europe in his academic work. His example and our conversations inspired me and I returned to Fayetteville convinced that food law and policy was distinctive from traditional agricultural law and food and drug law and was needed to address the challenges of the modern food system. It was shortly after this trip to Paris that I developed and taught a class titled, “Food Law and Policy.” With the support of the administration, faculty, and students, we also soon thereafter started the Journal of Food Law and Policy, which still thrives today as a respectable publication in this field. The timing was great: the offerings coincided with the growing food movement that focused on the farm to consumers’ plates. The terminology “food law and policy” soon became a term/title used by many to describe the use of law as a tool to assess and address modern problems in food. Q: What role do law schools play in shaping food policy and dialogue among different groups? Roberts: I think it’s an important role. In fact, when employed by Arkansas, I was teaching a summer course at Cambridge (U.K.) in international food law, and it was there I set a personal goal to be involved in forming a food law and policy program at a top tier law school. I believed then and now that it would be important to establish credibility for food law and policy in a law school that wasn’t a traditional land-grant university where agriculture was a focus. Food law and policy is multidoctrinal: it interacts with other types of legal doctrine. Food law is primarily administrative law, but it also encompasses property law (ex: zoning and urban agriculture), international law (trade and standards-making), torts (litigation), health law (food safety and nutrition), environmental law (food production) … and the list goes on and on. This multidoctrinal approach to law allows food law and policy to seek practical solutions to food problems. In a sense, food law and policy responds to changing social conditions, which is a characteristic of modern law. So, with the goal in mind, I eventually left the University of Arkansas and went to Washington, D.C., to practice food law with the Venable law firm, then to Rome as a visiting scholar and consultant to the UN’s Food and Agricultural Organization (FAO), and then to Los Angeles, eventually ending up here at UCLA. UCLA has provided the perfect forum for us to launch the enterprise. The law school is widely respected and very supportive of our mission to study and advance breakthrough solutions for improving the modern food system. Interestingly enough, shortly after we started, Harvard Law announced the start of its Food Law Lab, which is distinct from its Food Law Clinic. We also do both here at UCLA. We have a strong academic approach to food law and policy and are developing a food law clinic that will provide students unique experiential and creative problem-solving opportunities in this field. We are grateful to have recently received funding support for the clinic through UC’s Global Food Initiative, which allows us to develop the clinic in the near future. Q: I’ve heard you speak before about “gaps.” What do you mean by this term? Roberts: This is a theme in a new treatise on food law I authored, published this year by Cambridge University Press. The treatise sets forth the fundamentals of food law, which rests on the Pure Food and Drug Act of 1906 and 1938 Federal Food, Drug, and Cosmetic Act. The 1938 Act and its amendments, which are numerous, serve as the foundation of food law. This foundation, however, has been ill equipped to deal with the problems of the modern food system. “Gaps,” as we call them, have emerged where these problems cry out for legal address. As a result, gap fillers in the form of new laws and policies have emerged, including new state and municipal regulations (ex: antibiotic/drugs in animal feed in California, GMO labeling in Vermont, menu labeling in NYC and Los Angeles, trans fats bans, etc.). Another gap filler is litigation, which has addressed food labeling and food advertising issues. Food litigation is now also being viewed as a tool to address environmental costs in food production. Another gap filler is something called “soft law,” which include internal rules or standards that a company, organization, or industry group might voluntarily agree to or pursue on its own (ex: related to nutrition, advertising for children, etc.). A large part of what we do here at UCLA is to analyze what types of laws are the most effective in addressing these gaps in the food system. For example, our Policy and Research Fellow, Emily Aguirre, is publishing an impressive article that addresses federal preemption concerns related to the topic of antibiotic consumption and resistance in humans. Q: What are the challenges you encounter in doing this work? Roberts: The problems I see are to a large extent structural in nature. Multiple government agencies regulate food, including the USDA and the FDA. Would we better off with one agency? Why is our national food policy set by such a cumbersome and politically charged tool called the U.S. Farm Bill? Even our obesity epidemic is a reflection of larger structural, social and political issues. Sam Kass, formerly President Obama’s senior policy advisor for nutrition policy, who is now busy doing a lot of interesting things in food policy, likes to ask in connection with the food movement, “Where are the lawyers?” I understand this question; oftentimes, folks who are advancing food policy don’t have the same sort of equivalency as the environmental movement, where lawyers have led and drove much of the change. You can’t initiate lawsuits under FDA acts the way you can under environmental statutes, but there is still much that lawyers can and should do. And there’s another interesting point: the food movement is not well organized. There are bits and pieces everywhere. The role of law in this case is to help mobilize common interests and figure out a strategy. We can work solutions through statute, regulatory changes, via litigation or by leading dialogue for change. Q: As you know, UC’s GFI has a subcommittee that’s evaluating food literacy. What are your thoughts on this? Roberts: I would like to have better good food citizens. What a wonderful way to have good food systems. Having people that understand how the food system and food policy works, who can work in local school districts, on city councils or in lots of different ways is vital. Parents and volunteers, on their own time, are important allies in changing the food system. Lawyers are often good leaders, and we hope through our program to create good leaders as well. 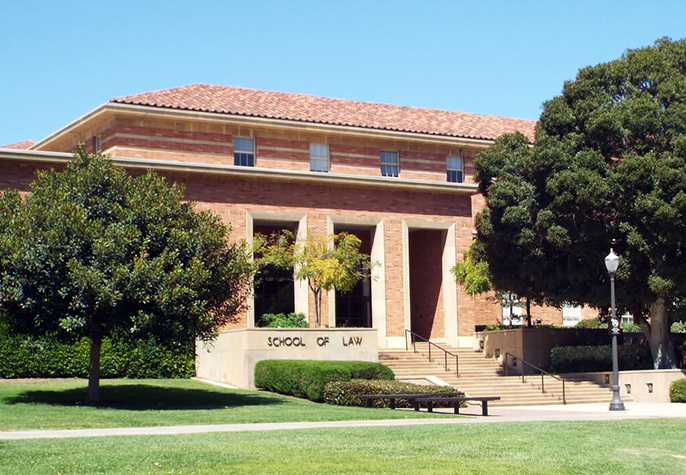 As I mentioned, here at UCLA Law, we have both the academic side and the applied side of work. On the academic side, we teach, write and publish. And we have the applied side. And that’s where we are just starting a new clinic that will allow us to represent policy clients, so we can take on cases and matters that put our feet on the ground and get things done one by one. We expect to see good results. Power is invested in certain places in our society … and lawyers can hold the key to unlocking that power. Q: Policy and law … what’s the interplay? Roberts: It’s not easy to define what law means or what policy means. Coupling them together is difficult. It sort of begs the question, what is the justification for a food law discipline if it’s a little bit of this and that. I think it is because there is a modern food system and we have problems today that are more unique than we’ve ever experienced as a result of the way food is produced and delivered and food law allows us to assess and figure out practical solutions to these problems. I think where lawyers can make a difference is in terms of power. And that’s looking at individual spheres, and perhaps is not an overall solution. As an example that may not be so obvious, various food companies want to engage in socially responsible activity. Like us, they see problems of obesity and malnutrition and in the ability of people to have good choices to make. I’m seeing lawyers called within companies to effect social change within those companies where they work. Knowing how power works (government, corporations) helps. You have to know the realities of how power works … that is where leadership matters. Roberts: I find a lot of my students really want to help and get involved and they do it in very different ways. It’s really encouraging. There are a lot of startups in food these days, novel companies that are producing food in different ways that are healthy and sustainable. They need lawyers who understand the food system to help them navigate the complicated laws and regulations. For example, food safety is a big concern for all companies. Chipotle has shown the serious consequences when food safety issues arise. Startups need to be aware of their responsibilities and how to play ball in a big league, so to speak, and how to do it the right way. I hope that some of these young lawyers could carve out a fulfilling practice by representing these kinds of businesses. Q: What are ways we can more explicitly connect food in terms of the social sphere to agriculture science? Roberts: There is certainly a cost benefit to this approach. I came from a traditional land-grant institution, where agriculture science was a priority. UCLA does not offer the same advantage, but it provides a unique platform, because much of the food movement represents consumer interests. Los Angeles has a vibrant, food–diverse population and it’s generally a very health conscious city. It also has an interesting food history production and a tradition of growing food here, gardens and more. Urban ag is very popular here for good reason. There is something to be said for being detached from some of the traditional ag institutions you find in the land-grant university system. But we also give up some nexus of science and agricultural production. It’s incumbent upon us to connect the two in our work. That’s one reason I really like UC’s GFI. I was a visiting professor at UC Davis, where the connection to agriculture science is easily found. I have also had a chance to interact with highly qualified faculty at UC Riverside involved in agriculture science. It’s about caring enough to make those connections. It may be easier for me because of my background to come at things from that direction. I fully appreciate the benefits that traditional land grant institutions bring to the table and we can – and should – avail ourselves of the information we need. And I see food law and policy as connecting the two … being sort of a bridge builder. These things are important to consider because there are very few students who have a farming or ag science background. Teaching about that part of the food supply chain is one of our challenges. Roberts: I want people to really consider the importance of interdisciplinary approaches to addressing all of these issues in the food system. That’s just critical. And I applaud the GFI for trying to do that. We all tend to be siloed somewhat in our work, but solving problems in the global food system requires interdisciplinary approaches. If we aren’t interdisciplinary in our approach, there can be unintended consequences. So we need to look at food systems in a holistic way. The sharpness of the divisions in food policy bothers me. For example, I see it in the GMO debate between some in the science community and those interested in social aspects of the issue. There is a lot of smearing going back and forth. The science community, law and the social sciences need to be more integrated. Interdisciplinary approaches are paramount. Q: What’s the next big thing? Roberts: Technology will probably answer that for us. And it may have to do with the changing composition of food; clearly, that’s what much of the debate is about. But I also think that how technology interacts with the delivery for food is interesting. Look at Amazon Fresh and others in the United States engaged in home food delivery. What’s going on in China in terms of e-commerce and food delivery is huge. It’s remarkable to see how distribution is changing through technology. The challenge will be how in the course of these technological changes do we convey accurate and science-based information to consumers that will also help motivate better choices and behavior. We’re not going to be able to roll the clock back. Gardening, growing our own food and cooking our own food is wonderful – and we need to do more of that. But we also need to work in the reality of the fast-paced world we live in, with technology and how we help people with the least resources not suffer all of the consequences of the changing food system. It seems to me that we can use technology and law to address some of these vital issues, as well.